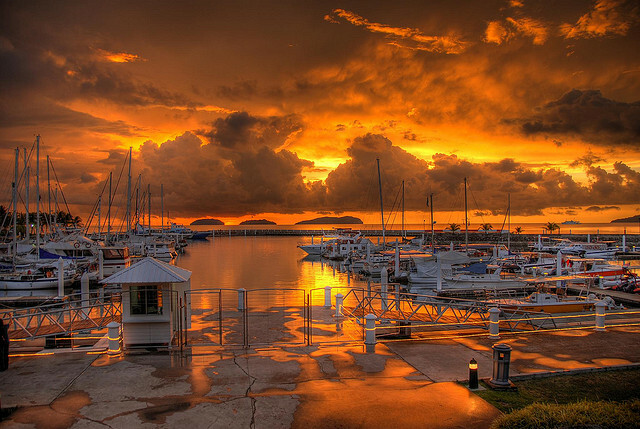 Sitting on the north coast of Malaysia, Kota Kinabalu is a beautiful place to visit as part of an Asia cruise. And as ever, we have some fantastic deals on cruises visiting this part of the world. You can find some great deals on cruises visiting Kota Kinabalu on our Dubai & Emirates cruise deals page. 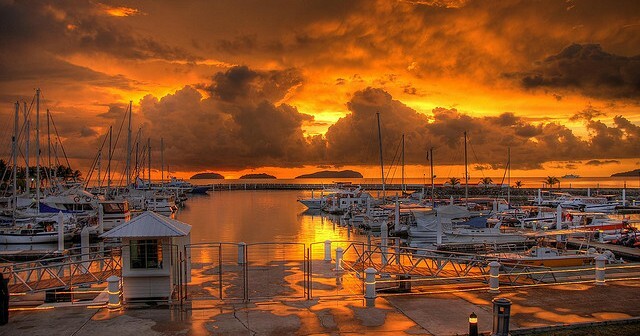 Kota Kinabalu is the capital of the state of Sabah in north east Malaysia. It’s a thriving modern city in its centre, but venture further out and you’ll find some truly magnificent sights. To the west is the Tunku Abdul Rahman National Park, a group of 5 islands spread across almost 5,000 hectares. There you’ll see beautiful coral, a huge variety of fish and white beaches. To the east is Mount Kinabalu, which gave the city its name. The mountain rises some 13,500 feet above sea level, but it can be scaled quite easily with no mountaineering equipment required. It’s also a haven for wildlife, with 326 bird species and more than 100 mammalian species resident there. You’ll also find 5,000-6,000 species of plant life, much of which you’ll never have seen back home. In the city you’ll find busy street markets, Chinese temples, interesting museums and delicious cuisine. You can also go on wildlife treks, white river rafting and much more. Cruise lines currently offering trips that visit Kota Kinabalu include Celebrity Cruises and Royal Caribbean cruises. You’ll find some of the best deals on cruises visiting Kota Kinabalu on our Dubai & Emirates cruises page, which of course also visit Dubai and other parts of the Middle East. You can also use the search tool to find other Kota Kinabalu cruise trips. Your cruise begins at Singapore, and visits Phu My, Hong Kong, Manila, Boracay, Kota Kinabalu, Singapore, Cochin, New Mangalore, Goa, Mumbai, Muscat and Dubai. This cruise sets off from Singapore and visits Bandar Seri Begawan, Brunei, Nha Trang, Phu My, Laem Chabang, Singapore, Phu My, Hue/Danang, Hong Kong, Manila, Boracay, Kota Kinabalu, Cochin, New Mangalore, Goa, Mumbai, Muscat and Dubai.